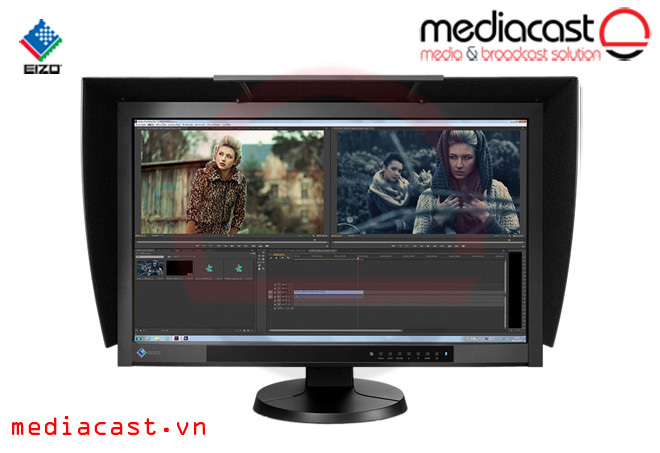 Eizo ColorEdge CS2420 24" 16:10 IPS Monitorlà màn hình 24'' sử dụng tấm panel IPS, được tích hợp hệ thống cân chỉnh màu tự động EX3 Calibration Sensor cho độ chính xác rất cao. Được sử dụng nhiều cho đồ họa, sản xuất video hậu kỳ, hiệu chỉnh màu, in ấn, chế bản và photo. 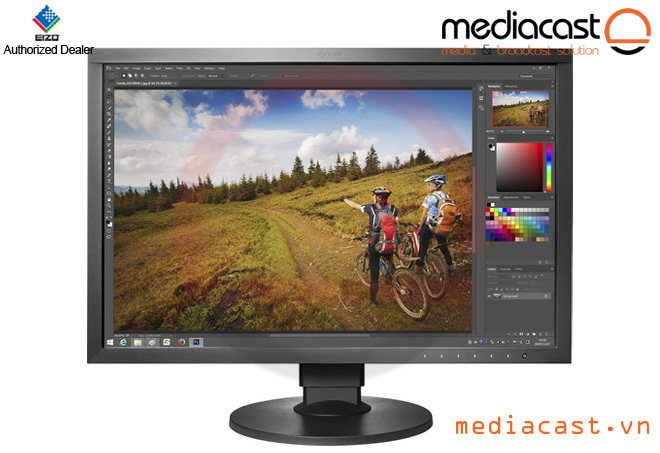 The ColorEdge CS2420 24" 16:10 Hardware Calibration IPS Monitor with EX3 Calibration Sensor from Eizo is a professional-grade monitor designed to provide you with the features and specifications required for color-accurate content production. 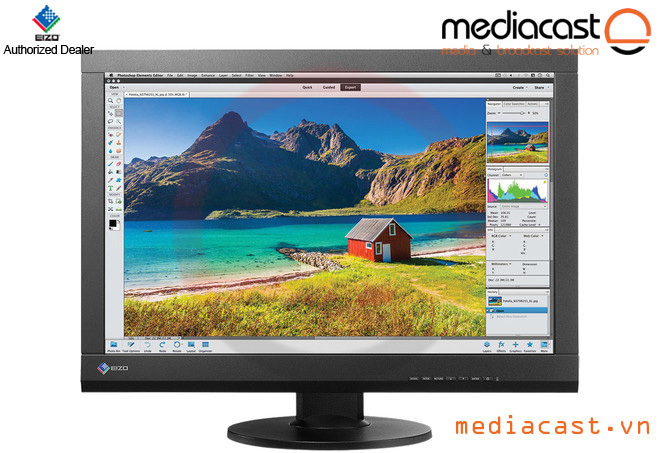 This display has a 1920 x 1200 16:10 screen resolution for crisp and clear pictures along with a 1,000:1 static contrast ratio and a 350 cd/m² brightness rating for darker blacks and brighter bright colors. 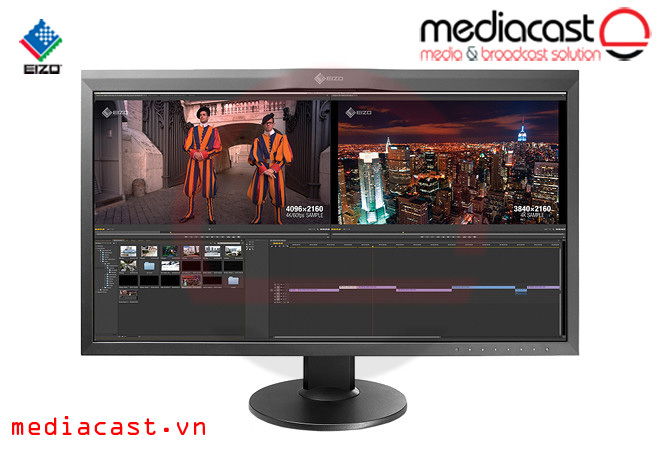 Furthermore, it has a 15 ms response time for lag-free content reproduction and supports up to 1.07 billion colors. Additionally, with an In-Plane Switching (IPS) display, you'll be able to enjoy wide viewing angles and vivid color reproduction. Connect this display to your system via DVI-D, HDMI, or DisplayPort and then tilt, swivel, and adjust the height to your viewing preference. Otherwise, you can remove the stand and install an optional mounting arm or stand using the 100 x 100mm VESA mounting holes on the back. 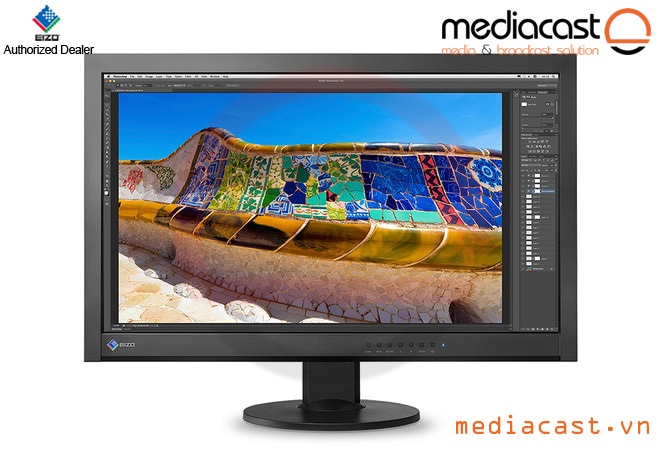 An IPS panel with a wide color gamut reproduces 99% of the Adobe RGB color space so images shot in RAW can be converted to Adobe RGB or images shot in Adobe RGB will be displayed correctly. 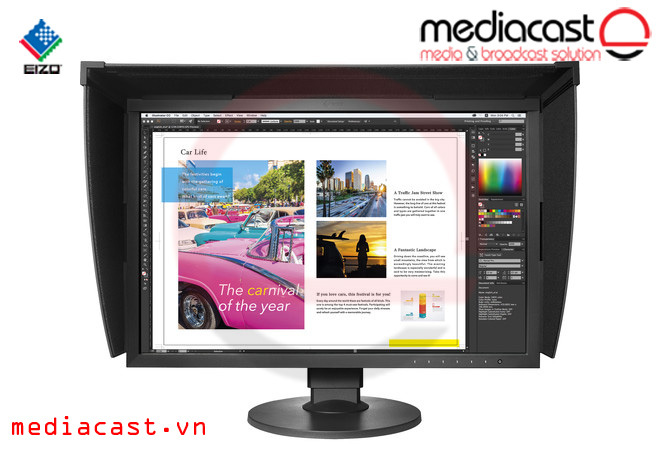 The wide color gamut also ensures that the monitor reproduces almost the entire ISO-coated and US web-coated CMYK color spaces used in printing as well as 93% of the DCI used in post production. This display's gamma level is pre-calibrated in the factory to ensure that it can deliver the smoothest color gradations in your images. 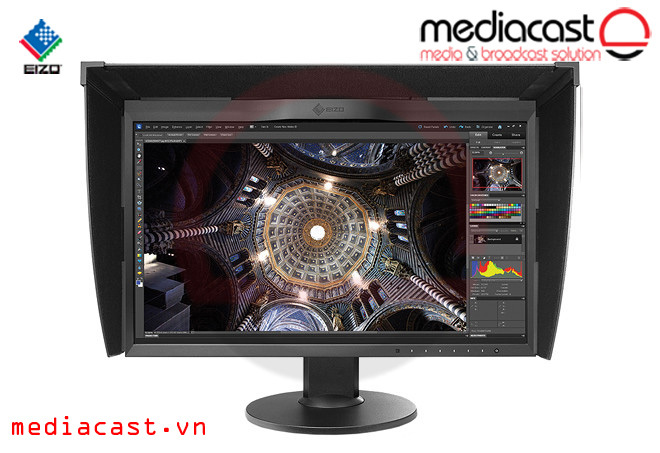 Equipped with Eizo's patented Digital Uniformity Equalizer (DUE) technology, this monitor ensures that the brightness and chromaticity is even across the whole screen. It also counterbalances the effects from temperature changes on color temperature and brightness for stable image display. The HDMI input supports I/P (interlace/progressive) conversion for converting interlace signals from TV and video into progressive signals for flicker-free display. 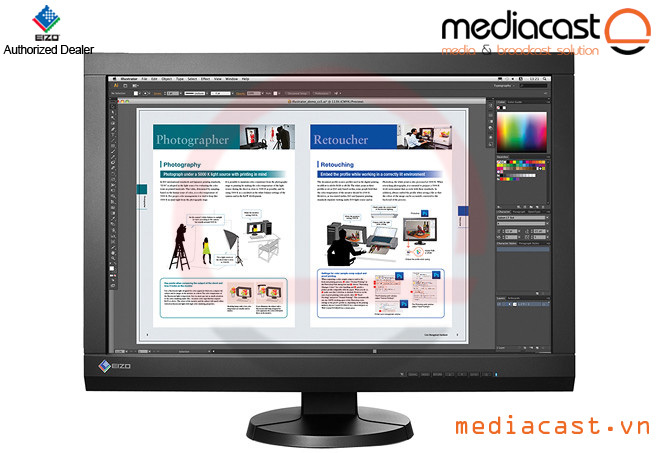 ColorNavigator 6 lets you easily calibrate your monitor. 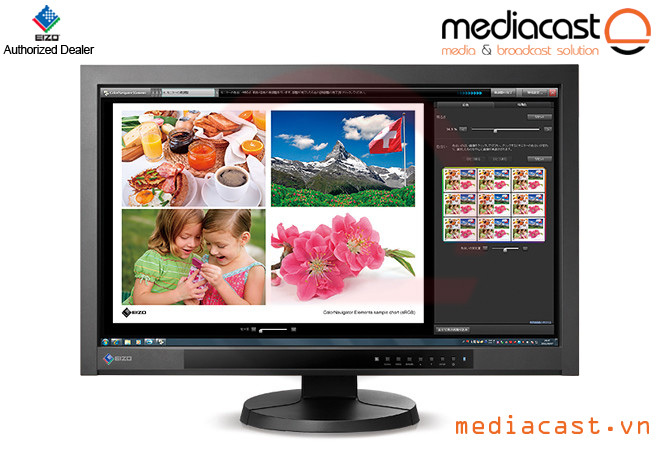 Simply select your desired presets or assign values and the built-in sensor will use the monitor's look-up-table and create an ICC profile within minutes. Box Dimensions (LxWxH) 25.0 x 20.0 x 8.0"